Kathy graduated in June 1978 with highest honors from the US Merchant Marine Academy with a Bachelor of Science in Marine Transportation and Nautical Sciences. She spent five years as a deck officer aboard crude oil and product tankers. 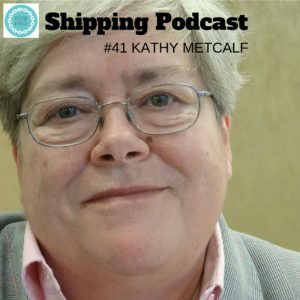 Kathy became the Director of Maritime Affairs for the Chamber of Shipping of America, a maritime trade association representing US based commercial shipping interests in international, federal and state forums. Her responsibilities in this position included monitoring and development of positions with regards to legislative and regulatory initiatives and advocacy on issues of impact for the members of the Chamber of Shipping, before various organizations including the International Maritime Organization, the US Congress, and federal and state regulatory agencies. In this capacity, she has testified before Congressional committees, federal and state regulatory agencies and has attended numerous sessions of the International Maritime Organization initially as the American shipowner representative on the US delegation to the Marine Environment Protection Committee and the Maritime Safety Committee and currently as the American shipowner representative on the International Chamber of Shipping (ICS) delegation. Kathy is also the Chairman of the ICS Environmental Sub-Committee. She took the reins as President & CEO in January 2015. If you like what you hear, be sure to share it with your friends, both IRL and online. You can find the Shipping Podcast on Twitter, Facebook and Instagram.